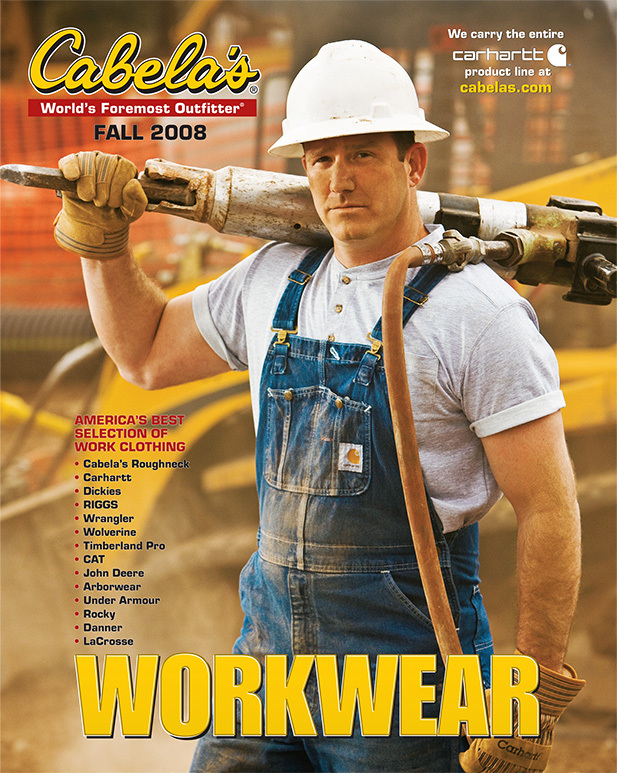 Thanks to the talented and creative eye of Cabela’s art director Bruce Brosnan, we captured this image for the Workwear cover, featuring local strongman and road-crew worker Dominic Pullara. It was a great time shooting right on the road as work went on around us, and it really brought the grit to this shoot. The energy that carried on around us really helped drive those on camera, and this cover turned out awesome as it became a part of the regular day on the job. A big thanks goes to Dominic for working with us throughout the day. The shoot turned out great because of him, and I had an awesome time spending a day in the life of a real-world working man. Thanks, Dominic – your energy and ruggedness really made workwear cover special, and I love the way these images turned out. We shot two dozen inside scenes as well. With this campaign, we tried to balance the indoors and outdoors as a part of the shoot. I really wanted to show the versatility of the Cabela’s workwear, and it really performed well through what our crew put it through. This is a great line of workwear and I am extremely happy to have been able to shoot for them – the cover and whole catalog turned out great as we worked to show this clothing line.